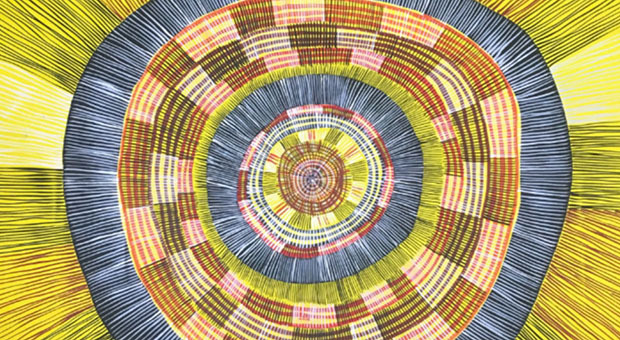 Bennelong (who also went by the names Wolarwaree, Ogultroyee and Vogeltroya) was from the Wangal people and is regarded as one of the most significant and notable Aboriginal people in the early history of Australia. He became one of the first to be ‘civilised’ into the European way of life, enjoying its ‘benefits’ and living with the settlers. 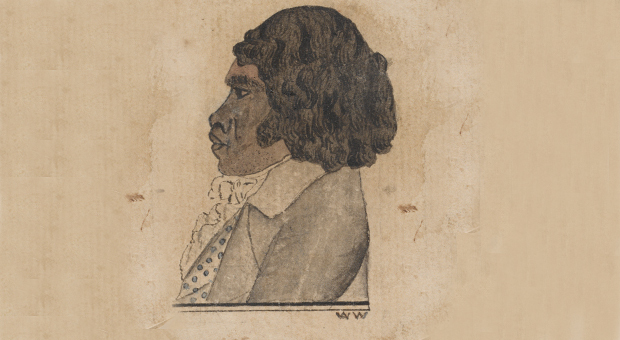 Bennelong was captured with Colebee in November 1789 as part of Governor Arthur Phillip’s plan to learn the language and customs of the local people in an attempt to aid relations between the two groups. Bennelong, like Arabanoo, soon adopted European dress and ways, and was trained in the English language. 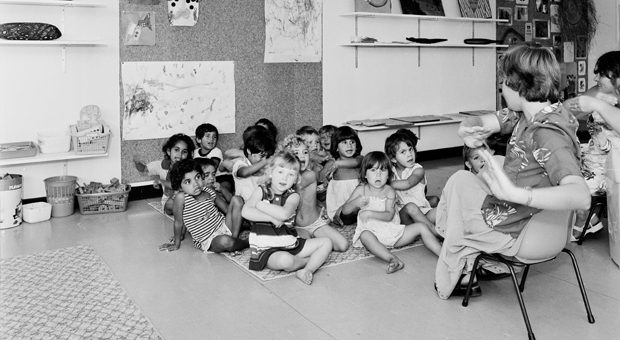 He is known to have taught the Sydney Aboriginal language to George Bass. He gave the Aboriginal name Wolawaree to Phillip to locate him in a kinship relationship in order to enable communication of customs and relationship to the land. 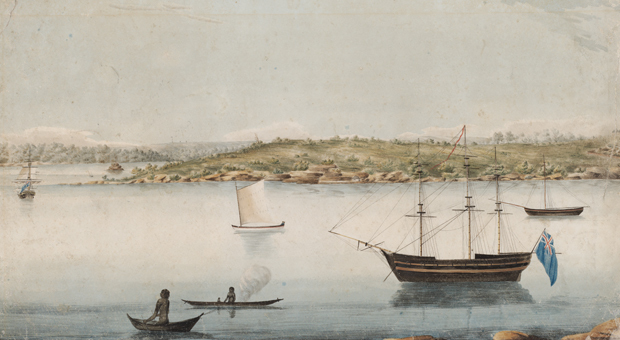 Bennelong served the colonisers by teaching them about Aboriginal customs and language. Bennelong was present when Governor Arthur Phillip was speared at Manly in May 1790 and later that year asked the governor to build him a hut on what became known as later known as Bennelong Point, the site of today’s Sydney Opera House. Here he entertained the Governor a year later. Interestingly Bennelong’s second wife, Barrangaroo was opposed to her husband’s conciliatory efforts with the invaders and his visits to the Governor. She was against any form of negotiation and although encouraged to drink wine and dress in European garb she refused, with violent chastisement of Bennelong for doing so. 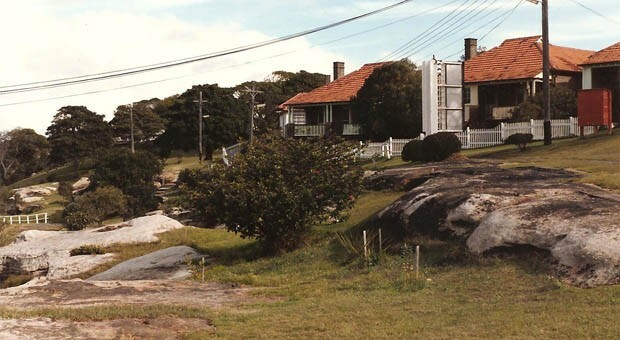 When she wanted to give birth at the Governor’s House to maintain links with the land, and to avoid the hospital which she thought of as somewhere where people died, Phillip denied her the right, persuading Bennelong to take her to the hospital where she died shortly after giving birth. Although he was said to have had a love-hate relationship with both the settlement and Phillip, he and his kinsman Yemmerrawanne travelled with him to England in 1792, and was presented to King George III on 24 May 1793. Yemmerrawanne died and was buried in Britain, but Bennelong arrived back in February 1795 obviously influenced by the British with a new sense of dress and behaviour, something he tried to impart on his family. Bennelong, who had long been troubled by alcohol, died at Kissing Point on 3 January 1813. Much of the profile of Bennelong has been created by the writings of Judge Advocate David Collins (who preferred the spelling Bennilong) and Captain Watkin Tench (who chose Bennillon). They viewed him as an experiment in ‘softening, enlightening and refining a barbarian’. While Bennelong suffered from the worst aspects of enculturation, he also represented those who tried to effect change in the behaviour of Europeans on Aboriginal lands. Phillip was ordered to open dialogue with Aborigines and to live in a conciliatory manner, but he had a passion himself to ‘civilise’ them. He took possession of the land in the name of King George without any reference to previous ownership, and began to forge relationships with people like Bennelong to learn about and change the locals. And while Phillip’s dispatches told the British Government that Aborigines in Sydney had a strong attachment to the land, no return policy came in reply.